It's a birthday miracle, with enough bubble solution for everyone! Hand these out as party favors and watch the party take flight! Perfect for trips to the beach, outdoor parties or just a fun activity under the sun. Super Miracle Bubbles are designed for kids, with twisting, sure-grip bottles and assorted colors to help you keep track of ownership. Each containing 4 oz of bubble solution. 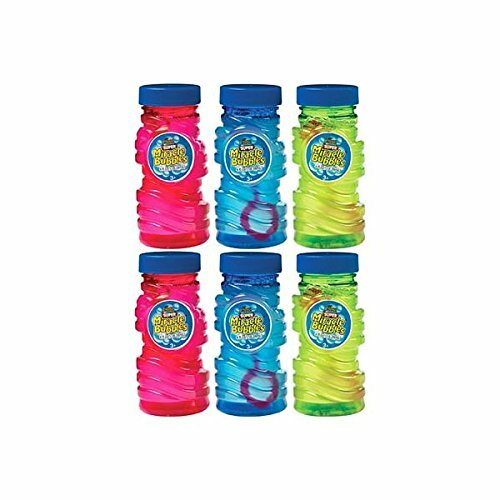 Little Kids Sesame Street Bubbles with Wand (8 Pack), 4 fl. oz.